Taking out a personal loan is a fantastic way of getting your hands on the money you need to purchase one of life’s more expensive treats. Whether you have your eyes on a new car or you want to realise a lifelong dream to travel the world, this type of credit facility gives you flexibility, as well as the peace of mind that comes with knowing exactly what your monthly repayments will be for the entire term. But with so many loan companies and special offers on the market, how do you choose the product that best suits your financial needs? There are seven factors you will need to consider in order to make the right choice. There are literally hundreds of personal loan products on the market, so spending a little time comparing their interest rates, policies on early repayments, available loan terms and other relevant issues will ensure you receive the best personal loan. It is in your best interest to approach existing creditors first, such as your mortgage company, as you might be able to secure a great deal in return for your loyalty. Peer to peer lending is a relatively new way to get the personal loan you need. This involves borrowing from individual lenders, and it is often a cheaper, quicker and simpler way to take out a loan. Is the interest rate you receive what you were expecting? Advertised interest rates are often expressed as a ‘representative APR’. This is the rate received by at least half of applicants of that product, and it won’t necessarily be the rate you end up with. Before you sign an agreement, you should check the small print to ensure that the actual interest rate associated with your loan compares favourably with others you have been offered. In most cases, the more money you borrow, the lower the APR will be. Exactly what interest rate you are charged may be determined by several factors, including your credit rating, the term of your loan, your chosen method of repayment and your income. Does the lender offer flexibility? Many peer to peer loan providers and lenders charge fees if you want to repay your loan early and often they do not enable you to make over repayments. This can make a loan much more expensive than if first seems, for example if you are borrowing to buy a car, and you sell the car of course you will want to repay the loan. If you are not careful when choosing a lender, this can end up costing you a lot of money. The length of your loan agreement will dictate your monthly repayments, as well as the total amount of interest you pay. Some loan providers offer a maximum term of seven years for an unsecured credit facility, but there are some that offer a maximum term of only 12 months. You should check that your preferred lender offers the loan term that meets your needs before making an application, as applying for more than one loan in a short space of time could adversely affect your credit rating. Lenders want to know that you are worthy of credit before they agree to lend you money, so they will assess your credit history as part of the application process. If you’re about to start applying for loans, it may be a good idea to check your credit file first. It may contain inaccuracies or out-of-date information that can be easily removed. Remember, being turned down for credit several times in a short space of time could further damage your status. Does the lender provider a quote that is tailored to your circumstances? Some lenders offer a facility that will give an accurate quotation that is tailored to individual circumstances without negatively impacting your credit score. By opting for a lender that offers this service you will know exactly what interest rate you are going to get and the repayments you will have to make without damaging your ability to get a loan from another provider if you do not like their terms. There are some very useful comparison websites on the Internet that allow you to compare different personal loans based on your personal information. 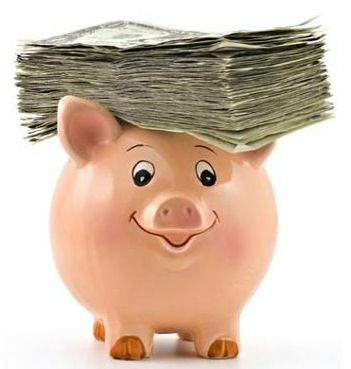 This will save you an enormous amount of time and money in your search for an affordable loan. However, it’s important to remember that not all loan providers are included in these searches, and even if they are, the rate you are offered may differ from the representative APR advertised due to your personal circumstances. Taking out a personal loan is a big step, as it represents a long-term financial commitment that could affect your future. With some research, patience and a little knowledge of how loan companies operate, you should be able to secure the funds you need without paying more than you need to for the privilege. Thanks for the details.. Getting personal loans from any financial institution is far easier than getting any other kind of loans. It generally requires less documentation and the time frame for release of the loan is also short.